Leather Cleaning | Leather can be a challenge to clean. Let us do it. There is nothing like a good leather piece in the room. Unless of course it is dull and starting to crack. 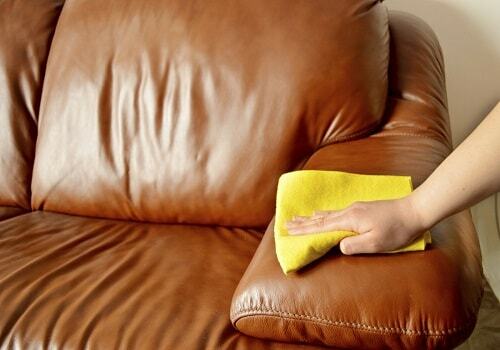 Being Perth WA’s top carpet cleaners, another one of our specialties is cleaning and protecting leather. With a superb method for leather love you will be giving your leather the best refreshment possible. We apply our professional grade leather clean cleanser to release any of the dirt, grime and soils present on the surface of the leather. Following we apply a comprehensive conditioner to revitalise the leather pieces for a great look and even greater feel. Only cleaning by hand, we promise a delicate yet still dazzling dream finish. After the initial clean, our cleaners apply the highest quality leather protectant. Doing so helps retain the conditioner and hydration of the leather, making sure the pieces don’t begin to crack or dull once again. Feel confident knowing your leather will last longer with the ability to resists spills and stains long enough for you to clean them up before the natural material soaks them up and the leather needs cleaning again. Forget using the same old detergents you got from the supermarket in attempt to look after the leather yourself. Sure it makes the leather shine, but it is likely doing more harm than good due because of the poor properties within the cheap cleaning products. Your best bet, therefore, is to hire professionals like ourselves here at Carpet Cleaning Perth. We have the right skills with the right products to spark up those dulled and unattractive leather pieces, and bring them back to lovely leather luxury the right way. The cleaners for all things leather. Leather can come in an array of all shapes, sizes and colours boasting a beautiful furniture piece regardless of the design, the season or its use. Whether it be your favourite recliner or the family lounge suite, call the experts of Perth for an utterly fantastic job like no other. With leather cleaners who strive to impress at a price you won’t be able to refuse. Love your luxury leather, and it will love you back. You can call us on 1300 881 865 or fill out our instant free quote form.